He is coming to the community again and wants your opinions. This time is it about the recent Rakghoul event. What did you like? What did you think needed some changes or completely taken out? James also wants your input on future events. 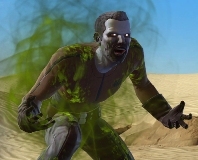 What type of events would you like to see in SWTOR? Is there a specific planet or Star Wars theme etc. you would like to see used? All you need to do is send your thoughts, please make them constructive, to his Twitter account @JamesOhlen or the official game Twitter account @SWTOR or you can submit your thoughts on the past event and ideas for future events to the official forum thread. We at Corellian Run Radio would also love to hear your ideas for future in-game events. Please share your ideas in the comment section below. Here is a link to this past week’s dev tracker blog. A quick and easy way for you to catch up on the past week’s developer posts. For instance, did you know there are more than two egg spawn points for a very special pet? Give the Dev Tracker Blog a glance, you just might be surprised what you find. This week has been pretty wild with the live in-game event, computer issues hampering CRR podcast this week (I am still thinking we blame the Rakghouls), but on the bright side Daniel is back with Force Lore. So while things are a bit hectic, CRR will soldier on. I urge you to take a look at this past week’s articles in the links below. Please take a moment to leave our authors your feedback in the article comment thread. We love to hear from you! toward the enemy in sight. in his eyes, is only death. as he calls upon the Force. rip from his finger tips. but ignores the tearful plea. for the empire he will build. 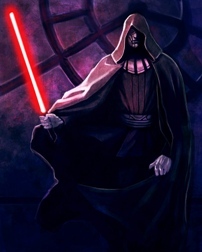 and bow before The Sith! Yesterday I came across a Twitter follower’s site, Thrown Gauntlet. Being the curious person I am, I had to see this site. 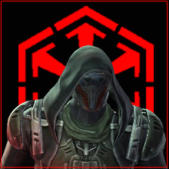 I found a blog all about tanking in SWTOR, from the perspective of a Sith Juggernaut. The site’s creator goes by Burek and has done an amazing job. Not just in providing a site dedicated for a specific class and role, but also includes very helpful video guides. He is not afraid to voice his opinion and say what he really thinks about a game mechanic, specific stat argument and whatever he thinks needs to be said in regards to the game or this class. This site is well put together and is easy to read. I especially love the use of graphics with Burek’s witty captions. Not only do I recommend this site, I suggest you bookmark and tell your guild leaders or OP leaders about the site. It can only help your tanks get better and that helps everyone! Below is just one of his video guides, all about using Force Push for the Juggernaut and Guardian, which also goes into other classes’ knockbacks. This song can apply to a specific boss in-game, task/chore at home or in our rugby team’s position taking down the team and moving on to Nationals… See you all next week!